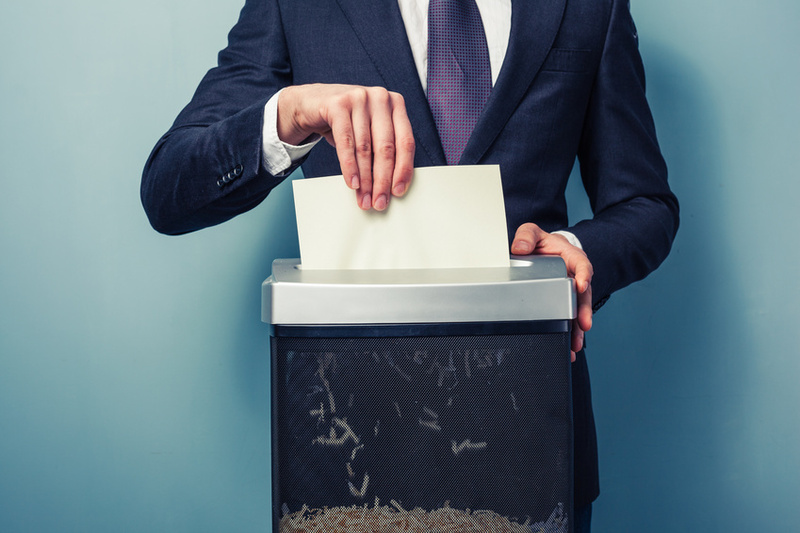 When you work with sensitive data, it’s vital that you utilize a professional shredding service for secure document destruction. As you are likely aware, identity theft is on the rise. In fact, it has proven to be the fastest-growing crime within the United States. In 2016, identity thefts increased by 16% from 2015. At this time, approximately one out of every 16 adults had their identity stolen. According to the Federal Trade Commission, for every 33 individuals, one will have their identity stolen within the next year. It’s important to note that this can occur with people of all ages, from small children to older adults. There are different forms of identity theft. The most common, however, is government documents and benefits fraud. As reported by the National Criminal Justice Reference Service, this accounts for 34% of the reported cases. This type of fraud includes the theft of disability checks, veterans benefits checks, and other types of government payments. While many people may believe that their identity is more likely to be stolen from online sources, almost 90% of these thefts actually occur due to criminals gaining access to printed documents and papers. When the law firm, BakerHostetler, released their 2015 Data Security Incident Response Report, it was found that one out of five breaches handled by this firm in 2014 were tied to paper records. The financial costs of identity theft are staggering. Every year, this costs Americans $50 billion. Recent data on corporate identity theft indicates that it costs United States’ businesses $48 billion a year. In addition to the financial costs associated with identity theft, there are other obvious issues that arise as a result of this occurring. Since it can take a considerable amount of time and effort to restore an identity that has been stolen, this can potentially lead to a variety of adverse situations that can affect so many individuals’ health and well-being. Due to the increasing prevalence of identity thefts within both the public and private spheres, paper shredding companies provide a valuable service. In order to ensure that your documents are properly destroyed and in a timely fashion, you can schedule regular shredding services with shredding companies. Even though most identity theft occurs when someone gains access to paper documents, it’s still important to have cyber security services and to employ other measures to ensure that your data is safe. Posted on November 20, 2017 by Gina. This entry was posted in Local shredding companies, Paper shredding portland oregon, Portland oregon shredding services. Bookmark the permalink. « When Was the Last Time You Created a Team Poster for Your Group?